The Kellogg Network DFW invites the DBC to the Kellogg Speker Series with Capital One's Sanjiv Yajnik and best-selling author Joshua Pollock - and get a free book! The leaders of today are no longer the bosses at the ends of tables spitting orders and not taking no for an answer. The leaders of today bring out the best in the people around them through their empathy and emotional intelligence. The leaders of today are as driven as they are thoughtful, leading with their hearts as well as their minds. How does meditation help bring out the best in leaders? We welcome you to join us at this talk and Q & A session with Capital One President of Financial Services Sanjiv Yajnik and best-selling author of The Heartfulness Way Joshua Pollock. 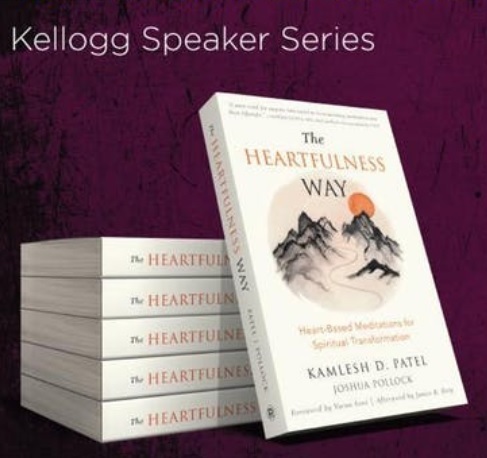 All participants will receive a complimentary copy of the best-selling book, The Heartfulness Way.